In order to comply with EU GDPR requirements, it is important to obtain consent from your customers whenever you collect any of their personal information. This includes names, email addresses, contact information etc. As such the contact forms that you place on your website need to include a field that requires customers to provide consent when they supply this information to you. Yola makes this easy by providing a special field which you can add to your form to obtain consent! Please note: GDPR applies to people living in the European Union. However, regardless of where you live, if you have customers in the EU you need to comply with GDPR regulations. It is therefore advisable to follow the instructions for GDPR compliant forms regardless of your location. 1. 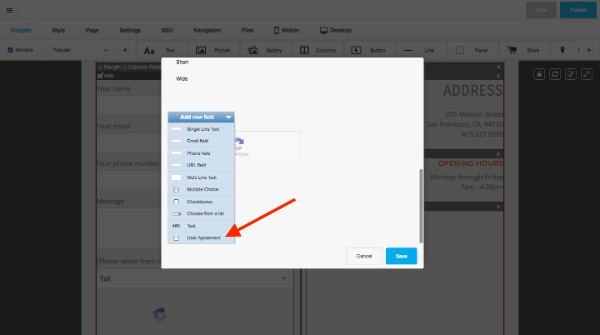 Add a Form widget to your page or click Edit on any of your existing forms. 2. 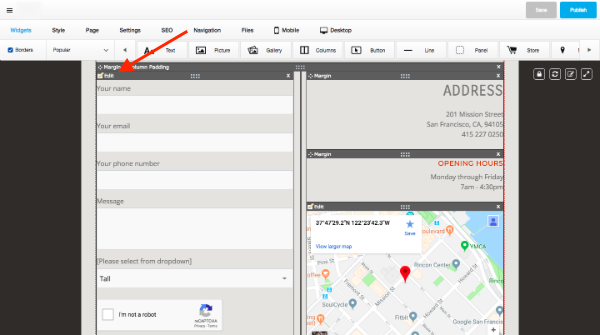 Click Add new field. 3. Scroll down and select User Agreement. 5. 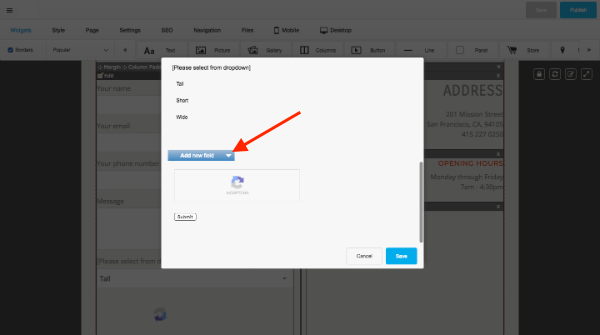 When you are done, click Save and publish your site to apply the change to your live site. The GDPR law stipulates that customers must actively consent to share their personal information. Because of this, the User Agreement field is a required field. If the customer doesn’t check the checkbox, they will receive a message: “Please check this box if you want to proceed.” This ensures that your customers provide consent before they send you their personal information and if there is ever a dispute, you can use your form response with the checked consent box as proof that consent was consciously and voluntarily obtained from your customer.